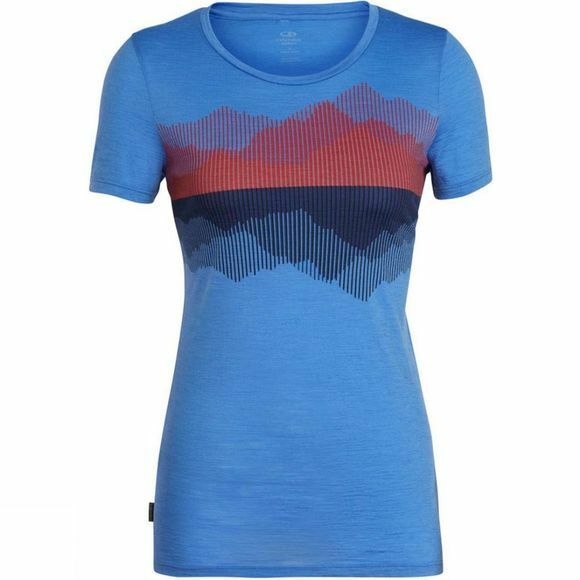 The Women's Spector Short Sleeve Crewe T-Shirt from Icebreaker will add versatility and style to your wardrobe and is ready for year-round adventures. Combining the benefits of both merino wool and nylon fibers, it’s made from a soft and breathable fabric that dries quickly and has natural odor-resistance. A lightweight option on its own, it’s also ideal for layering in any season. Perfect for those days when you’re toting a backpack over far-flung city streets or up mountain peaks, it’s designed with offset shoulder seams to avoid chafing. The contemporary graphic adds a nature-inspired element.